The Woodstock Film Festival was pleased to announce the return of Focus on Dutch Cinema, marking the fourth year of this special category. Sponsored by the Netherlands Consulate and in collaboration with Bruce Weiss (Ironworks Productions), the Woodstock Film Festival has programmed three exceptional Dutch films to showcase the vast range Dutch cinema has to offer this year by three female directors: Craving by Saskia Diesing, Love Revisited by Nicole van Kilsonk, and Younger Days by Paula van der Oest. "Woodstock has been a great asset for these Dutch filmmakers," said New York-based producer Bruce Weiss of Ironworks Productions who helped organize and curate the section since its inception. "They not only receive recognition and exposure in the U.S., but word of their success in Woodstock travels quickly back to Holland and is covered by much of the Dutch press. 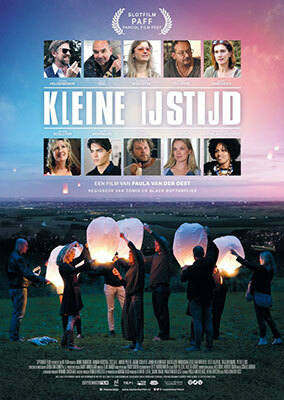 There are also several Dutch/American co-production projects now being discussed as a result of this program." The Focus on Dutch films expands on The Woodstock Film Festival’s mission to highlight fiercely independent filmmaking from across the globe and bring it to a wider audience.